SAN ANGELO, TX -- San Angelo Police arrested a local man for public intoxication and abusive language at a church Wednesday. Police were dispatched to the Celebration Church on Sunset next to the Concho Palace honky-tonk for a report of an unwanted subject. 54-year-old Lonnie Bert Haley was arrested. Here’s the arrest blotter for Tuesday and Wednesday. BEATTY, LANDON CAIN- age 24 was arrested for UNAUTHORIZED USE OF VEHICLE, THEFT PROP >= $100<$750, EVADING ARREST DETENTION, EVADING ARREST DETENTION W/VEH OR WATERCRAFT Tuesday following a vehicle and foot pursuit. The vehicle was stolen and Officers located property inside the vehicle that Beatty stole from a porch in Southland. 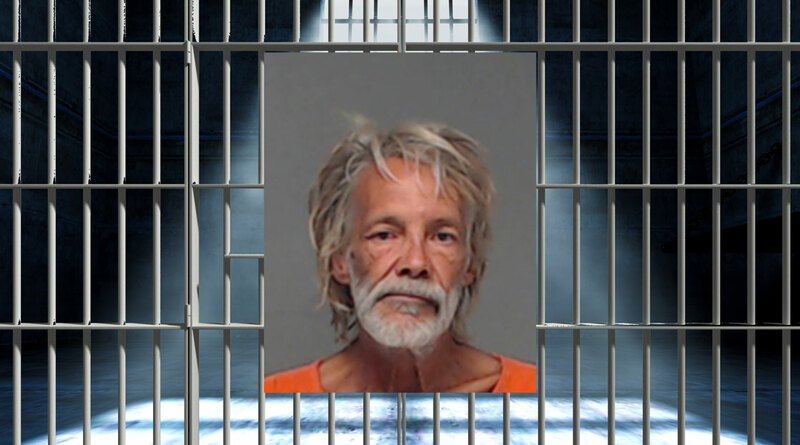 HALEY, LONNIE BERT- age 54 was arrested for PUBLIC INTOXICATION COMPLAINT DC-ABUSIVE LANGUAGE Wednesday after Police were dispatched to Celebration Church for the report of an unwanted subject. LUNA, GABRIEL ROY-age 40 was arrested for CRIMINAL TRESPASS Tuesday after Police were dispatched to the unit block of E. 32nd for the report of a domestic disturbance. REYES, JOE REY- age 19 was arrested for eight warrants and DRIVING W/LIC INV W/PREV CONV/SUSP/W/O FIN Wednesday during a traffic stop near Dena and Rosemont Drive. RODRIGUEZ, ANTHONY EUGENE- age 17 was arrested for POSS DANGEROUS DRUG Tuesday after Officers were dispatched to the 600 block of Caddo Street for the report of a fight. Lonnie is in jail every week for past few years now on PI or some other dumb move. We have a lot more of these Otis types in pur fair city but not quite as disturbing. This sole might need some sort institutionalizing. I was just thinking about him the other day, realizing I hadn't seen him in a while and hoping he was somewhere safe and warm. Sadly, he was out in less than 12 hours, then arrested again later the same day for "littering." I don't know what can be done for him at this point, but I agree, Big Daddy, he needs to be somewhere for his own safety and the safety of others. I'm sure his brain is fried from years of drug abuse.